Many porcelain or ceramic tiles are coated with a wax protective coating applied at the factory. 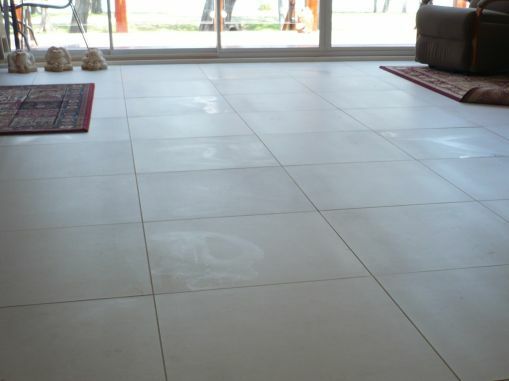 This can be seen and often felt on the surface of the tiles, and appears as a cloudy effect on many parts of the tiles, usually without a detectable pattern to the marks. The wax is designed to be removed after laying. Can the wax coating be removed? Wax varies in composition and extent from different manufacturers, and can be either easy or very difficult to remove. It is normally the responsibility of the tiler to remove. However, commonly the wax coating can be left on as further protection during construction and is often ignored as part of the final cleaning off process. 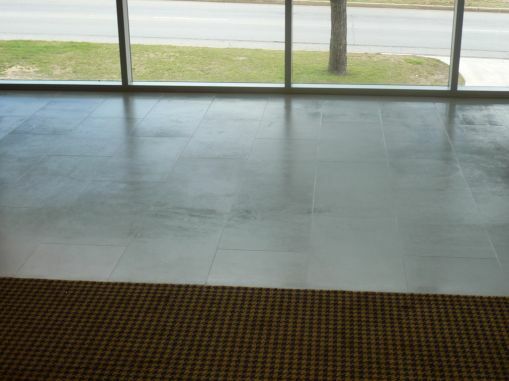 Wax coatings can be resolved by either a Light Dirt Extraction or a Deep Dirt Extraction treatment to strip the wax and grout residue off the surface of the tile. This will depend on the type of wax, and how long it has been left on the surface. As the wax can also conceal some types of tile defects, it is important to remove as soon as possible in order to confirm tile condition. If you have waxy tiles, you can book a free Slique Consultation – we’ll come and confirm your problem, and give you a quote for our Technicians to professionally restore the surface to as-new condition.